After several months of hard work behind the scenes, we are happy to be back with a new logo… A brand new plug-in! 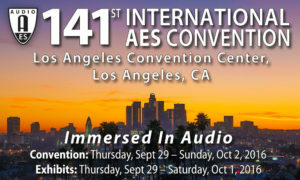 We plan to reveal this new plug-in at the 141st AES Convention in Los Angeles, at the end of the month. So if you want to see this new mystery plug-in in action, don’t forget to register for your badge, and please stop by booth #410 in 10 days! In the meantime, we may post updates about this new plug-in on our blog, so keep connected! About our new logo: it has been designed in collaboration with Musicworks who has also been working with us on new designs for our plug-ins. So be prepared to a couple of surprises! High resolution versions of the new logo are available for download. This entry was posted in New Releases and tagged Destructor by bluecat. Bookmark the permalink.